Panalo na sa career, panalo pa sa love life! It is not only her professional life that is flourishing because Kelsey Merritt's love life is also blossoming more than ever. 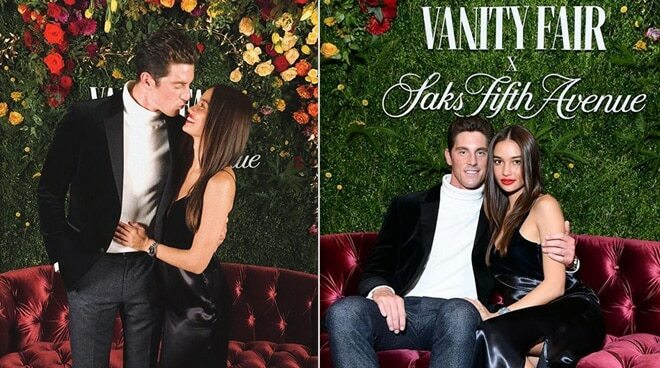 The Pinay Victoria's Secret model had a grand time with boyfriend Conor Dwyer at the Vanity Fair party. The couple were spotted really sweet to each other while at the fashion event. Conor is a swimmer and a two-time Olympic gold medalist. Meanwhile, Kelsey has been modeling in the US before she landed a stint in the upcoming Victoria's Secret fashion show happening later this year.